By default thunderbird application won’t send spam/Junk mails directly to the Junk folder. Every time you receive junk mails on your thunderbird application, it just mark that mail with junk icon (flame icon) on your inbox. 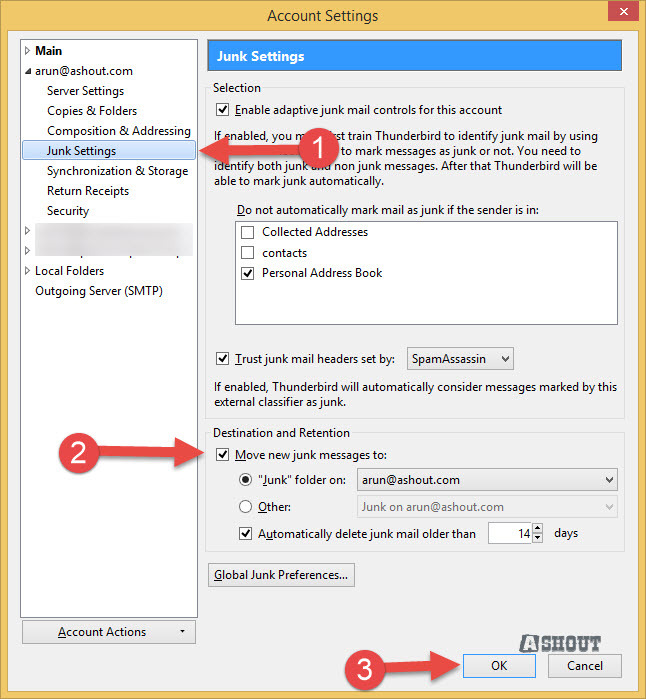 In this guide I will show you how to send junk mails automatically to your thunderbird junk folder. Almost all the mails marked with junk mails on our thunderbird email client are spam mails, and we don’t need to waste our time by checking all those spam mails every time we check our inbox. We can send those junk mails manually to our junk folder, but this is not a recommended method. It takes some time to do that. Instead of that, we can use inbuilt option which is available on our thunderbird application to send all junk mails to junk folder automatically, by this way we can reduce our time and efforts. 1. Select any mail account and Right-click and choose Settings… option. 2. In Account Settings window, choose Junk Settings and put check mark for Move new junk messages to: option and click OK button. 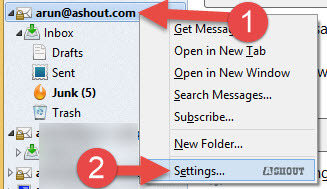 If you wish to change junk folder, then you can do here. I recommend you to leave all other settings to default settings. From now onwards all your junk mails which comes to inbox will automatically moved to junk folder on your thunderbird application.